Shaftesbury’s central concerns in the two works presented here are issues of moral philosophy, theology, as well as ongoing developments in the England of his day. The first is a collection of twelve sermons by one of the leading Cambridge Platonists, Benjamin Whichcote (1609-1683); the texts, edited and revised by Shaftesbury, were published in 1698. The preface to the edition was the first work by the Earl to appear in print, and in it he discusses themes that recur throughout his later writings, already adopting the critical viewpoint and »socratick irony« that characterize his entire oeuvre. 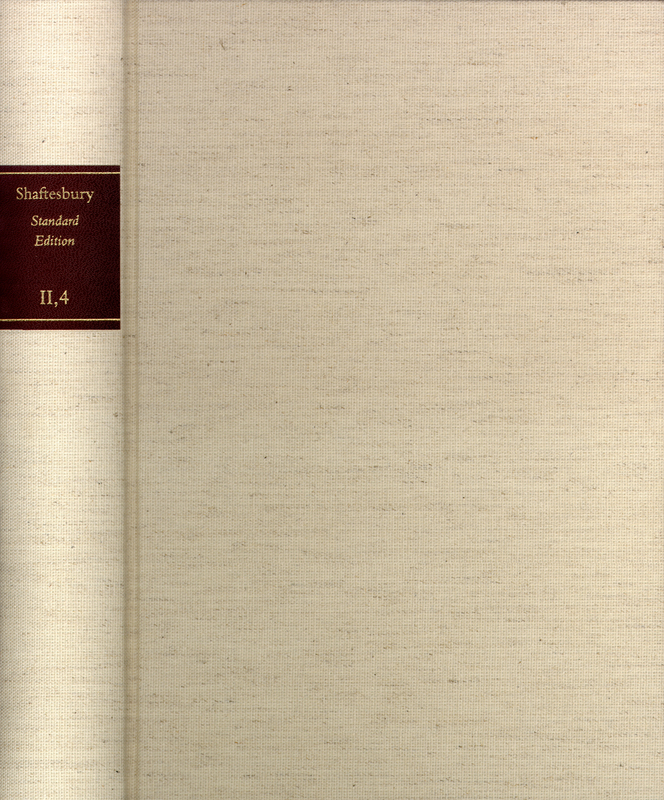 The sermons are accompanied here by Shaftesbury’s surviving editorial notes and relevant manuscript material, all previously unpublished; an introduction traces the history of the original edition. – The collection ›Several Letters Written by a Noble Lord to a Young Man at the University‹ was first published in 1716. A manuscript (Houghton Library) showing a text clearly derived from the now no longer complete set of autograph originals (The National Archives: Public Record Office, London) not only serves as a substitute for missing letters: it also reveals that the transformation of what was initially private correspondence (Shaftesbury writing to a protégé named Michael Ainsworth) into a published collection – one which then appeared another eight times over the course of the eighteenth century – must have been based on an idea conceived by the Earl himself. A recently discovered transcript of the original letters, made in the year 1763, also offers interesting background information on the correspondence and, coincidentally, on Select Sermons. The letters are edited here for the first time in full, from the original manuscripts or available copy-texts, and a parallel text shows the 1716 printed versions; in addition, the volume offers a history of the correspondence and explanatory notes.